This is a miniature painting I did for my studio/gallery that a friend of mine bought. It shows how unsure this little guy is. Maybe he'll let you take him home...in a card, at least! Each notecard measures 5 1/2" by 4 1/4 " and comes in a protective sleeve. It's blank so you can write your own message. 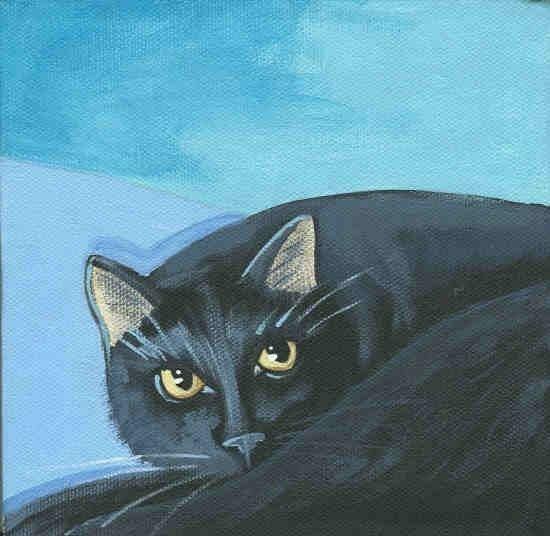 This print captures so well the expression of a sweet but shy black kitty. Wonderful colors and detail. I am very happy with this art card and the service is great!